We are committed to ensuring that our business is well-run and that we are true to our social purpose and the vision and values which drive our success. Our Overlap Boards are responsible for making sure we meet these commitments supported by our Executive Board. The overall role and purpose of the Executive Board is to ensure that there is effective leadership of, and a system of assurance between, the operations of the Aster Group and the Overlap Boards and their sub-committees. Aster Group is a not-for-dividend developer and landlord which is regulated by the Regulator of Social Housing. Our governance framework is structured on the UK Corporate Governance Code. This is a set of good practice standards that we follow in our board leadership and effectiveness, remuneration, accountability and stakeholder relations. Aster Group brings together our specialist housing businesses under one brand, ‘Aster’. The parent company of our Group is Aster Group Limited. In 2014 we introduced an ‘overlapping’ or ‘integrated’ board structure. This means that the same people sit on the boards of a number of group companies and that these boards meet at the same time. The legal identities of these companies and the directors’ duties to each company remain separate. This cross-membership framework allows our parent company and five key subsidiary boards to meet regularly as “Overlap Boards” ensuring that we think and act as one organisation with a shared purpose and vision. Our special purpose companies have their own board of directors. 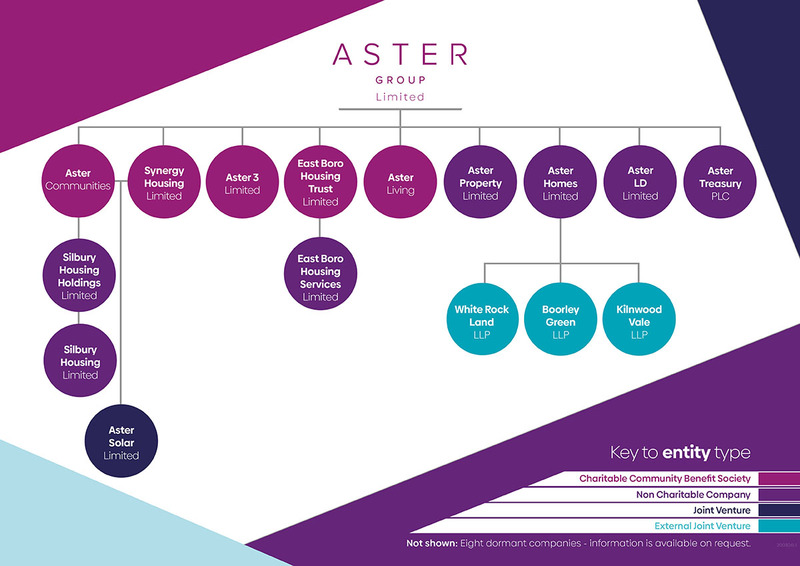 Aster Group company structure chart. We annually appraise our board members and have robust selection and appointment processes to ensure our boards are fit for purpose. Our Overlap Boards are responsible for the strategic direction, vision and purpose of our organisation. They also make sure that we are efficiently run, compliant and accountable, and also, fair and open in our relationships with our customers and the communities we impact. In addition to the members of the Overlap Board..
Our Executive Board is the leadership team responsible for the day-to-day running of Aster Group and driving its success and corporate strategy and plan. The team is led by Bjorn Howard, our Group CEO. Find out more about the members of our Overlap Boards. Find out more about the members of our Executive Board. Our Customer Overview Group which reports to the Customer and Community Network, is led by our customer volunteers who review our performance, provide constructive feedback and ensure customer involvement in the shaping of our strategies and policies. The Customer Scrutiny Panel (CSP) is an independent panel of customers and sits within the overall customer involvement structure and supports the Customer and Community Network (CCN) which forms part of Asters Governance structure. It meets the co-regulatory requirements of the Regulatory Standards for social housing in England. The CSP provides recommendations for change in its scrutiny reports..
Providing an independent and objective assessment of services and business processes from a customer perspective.. The work of the Overlap Boards is delegated to and carried out by five specialised committees for Audit, Customers and Community Network, Risk and Compliance, Treasury and Remuneration and Nominations. Our Audit Committee oversees our financial reporting, audit, control processes and approves the annual accounts. This committee makes sure that we put our customers at the heart of our decision-making. It oversees our services and monitors our community impact. The purpose of the combined Remuneration and Nominations Committee is to support the Board in discharging its responsibilities for the composition, succession planning and effectiveness of the Board; the remuneration strategy for non-executive directors and executive directors, and the principles and policy relating to the remuneration of all employees. Our Risk & Compliance Committee helps to ensure that we have an effective framework and process to identify, assess and manage risk and compliance across our business. Our Treasury Committee oversees the effectiveness of the group's treasury management. Aster Group is a not-for-dividend developer and landlord. We are subject to a diverse range of laws, rules and regulations relevant to our business which we must take all reasonable steps to comply with. Regulatory compliance describes the policies, systems and processes we use to achieve compliance. Operating with a framework to support our ongoing compliance and providing assurance to our decision-makers, ensures they can make informed decisions based on accurate and credible information. The Regulator of Social Housing (RSH), sets ‘Economic’ and ‘Consumer’ standards all housing associations are expected to meet. Aster holds a rating of G1 (governance) and V1 (financial viability), meaning Aster is well run and financially sound. Economic standards relate to governance, financial viability, rent-setting and value for money. Consumer or ‘customer’ standards determine the services our customers can expect to receive. These include expectations about involvement, the physical quality of their home, their tenancy arrangements and the landlord’s role in their neighbourhood. We are committed to ensuring modern slavery does not occur in our business or supply chain. We will adopt procedures and policies which address the risks of violations of anti-human trafficking and anti-modern slavery laws and we expect other organisations that we work with to adopt and enforce policies to comply with the legislation. Our Modern Slavery and Human Trafficking Policy reflects our commitment to acting ethically and with integrity across our own activities and to provide assurance we have effective systems and controls to ensure modern slavery is not taking place anywhere in our supply chains. Our approach to modern slavery is reflected in our culture of trusting, respecting and empowering people. Aster Group is committed to the highest standards of openness, probity and accountability. We will not tolerate fraud, dishonesty or impropriety and will investigate all suspected instances by employees, board members, customers or external partners. We are assessed by the RSH (formerly called the HCA) on governance and viability. Aster has received a G1/V1 which is the RSH's highest rating in both of these categories. Governance - G1: The provider meets the requirements on governance set out in the Governance and Financial Viability Standard. 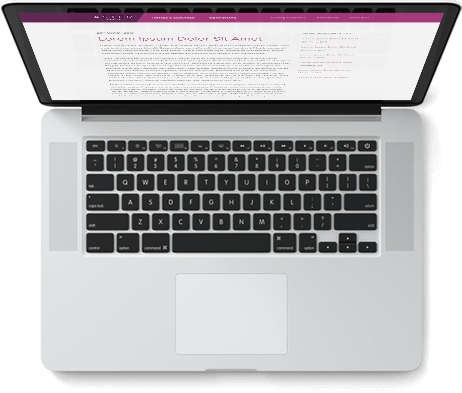 Viability - V1: The provider meets the requirements on viability set out in the Governance and Financial Viability Standard and has the capacity to mitigate its exposures effectively. Contact our press office and read our latest news.